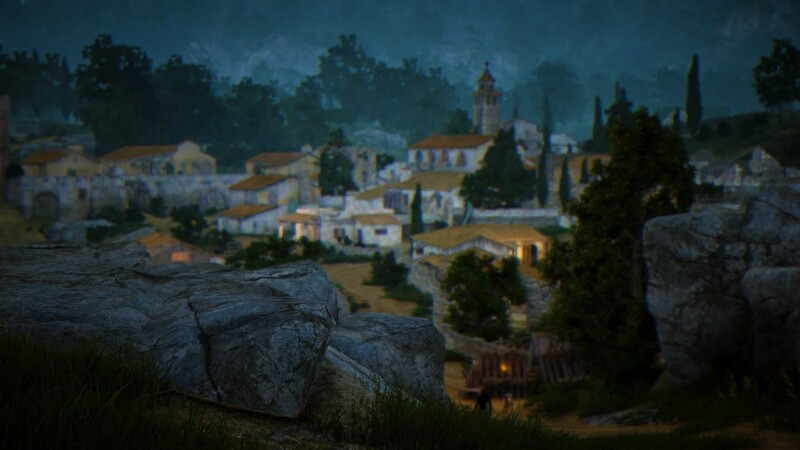 I have switched to the Valkyrie and have arrived in Velia. And i have to confess, since then, i’m in love with Black Desert Online. The Valkyrie proved to be so much fun that i simply cut my way through the Beetles, Weasels, Foxes, Wolves and Imps surrounding Olvia- reaching level 10 was a matter of 20 minutes. I decided to claim my preorder goodies for her, but they haven’t arrived yet. With the preorder pack i chose, i could select a whole set of furniture (i went with fleece) and a pet. Normally, i am a cat person- but there was no cat resembling our RL cat, and i think it’s not really in cats’ nature to follow people around wherever they go, i went with a dog. I chose the “Naughty Dog”, because i thought it’s a basset hound (not convinced anymore but there’s some similarity, at least) and i’m a huge fan of the tv series “Columbo”. 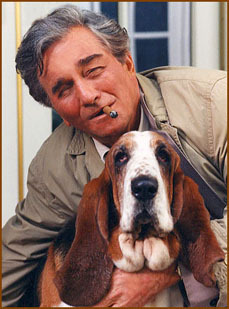 I might call him “dog”, too- but i won’t carry him around like Columbo did. It seems i can’t take quests with an Alt that are currently “active” on another character- besides the main storyline, of course. The Valkyrie didn’t do the same quests as the Witch did before her, for whatever reason. In the end, it made her progress much quicker. Arriving in Velia, i realized that everything before was more or less a tutorial. Velia was the first place where my quest log rose above five available quests. It was also the first village where i got a fishing quest and a trading quest. I got more contribution points while spending half an hour there than in all that time leading up to it. Now i actually have some left to spend. And it was sprawling with people. Unfortunately i didn’t take a screen of it, but the coastline with all these players fishing was a sight to be seen. The roads are busier, too. Not only with players- there are men transporting…something. They’re NPCs and i’ve seen them before, but now? The roads are full of them- so i guess this is player-influenced. These guys either transport trade goods or materials- or are someone’s workers- or they transport players’ stuff from town to town when they move. It’s the first time i think the game is “opening up”, and it’s great to see. As is the general art design- these villages actually seem like villages, beaches look just like they’re supposed to look and the water…well, jumping in you can almost feel the refreshment in provides in the heat of a mediterranean afternoon. I’m still not far along and don’t understand much, and until i do, i’ll reserve judgement. But for now…BDO remains very immersive and interesting- as BDO does so many things different than other MMOs, it’s a joy to feel lost and explore (land and mechanics) again. I feel the roads are much busier now- are these NPCs influenced by player actions? You can print this stuff out and put it on your wall, it’s that beautiful. 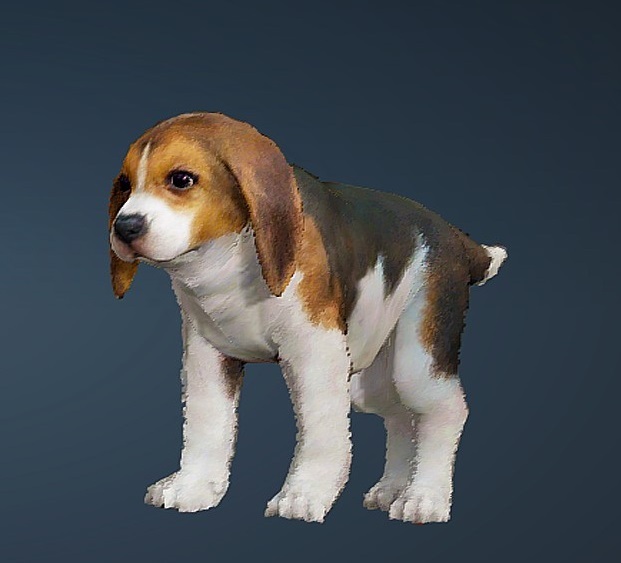 I think that “naughty dog” looks like a young Beagle… just to drop that in. Sounds like you’re having a really good time in there so far; looking forwards to hearing about your further adventures!